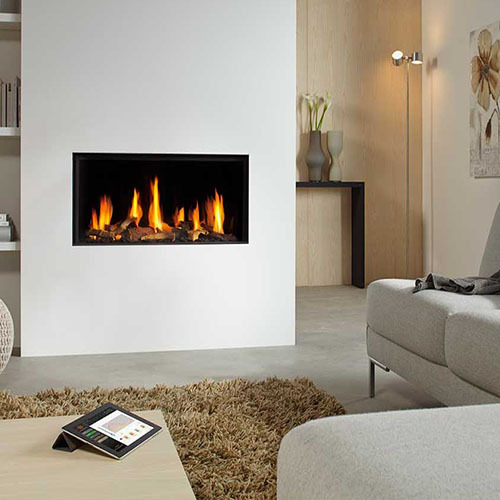 Nexus offers wall mounted gas fires in a range of exceptional designs. Browse our catalogue to compare picture-frame style fires, 3-sided feature models, corner fires and a gallery of other options. Sleek, elegant and contemporary, our wall mounted fires are self-contained appliances, so they can be installed with or without a functioning chimney. Our wall mounted gas fire range includes captivating designs by Dru, Eko, Flavel and many more big-name brands. See them up close when you visit our massive showroom, or call our friendly experts on 0116 274 4059 - they will help find the ideal gas fire for you.